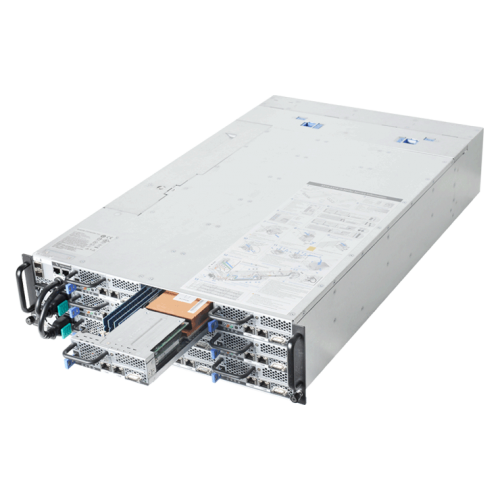 Up to 9 or 12 server nodes share a compact 3U chassis in the Quanta STRATOS S910-X31E. 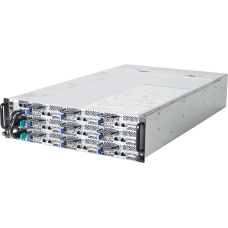 It is a high-density microserver built upon Intel® Xeon® processor E3-1200 v3/E3-1200 v4 product family, taking full advantage of Intel's latest 22nm technology to deliver dramatic efficiency in power, cooling, space, and cost savings as well as intelligent and dependable performance. 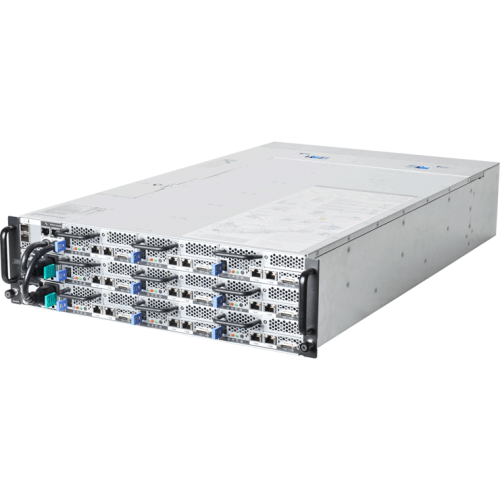 It has 4 times the computing density of 3 traditional one-socket 1U servers stacked together. The network across all server nodes is aggregated into two 10GbE SFP+ ports for uplink through an internal switch, reduces CAPEX by eliminating extra Top-of-Rack switch and network cables as well as simplified cable management. In addition, all nodes can be managed through one single management port on the chassis, making remote management much easier for datacenters. 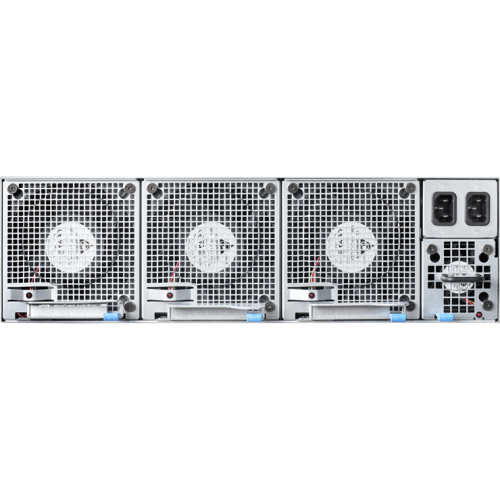 By sharing power supplies and cooling modules across all server nodes, the STRATOS S910-X31E enhances energy efficiency and reduces operation expenses. All nodes and power supplies are cold aisle accessible to avoid maintenance in the hot aisle. 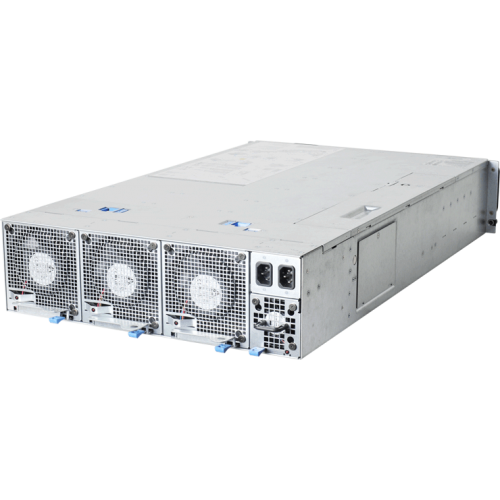 Besides, all nodes, power supplies and fans are hot pluggable, providing better serviceability. 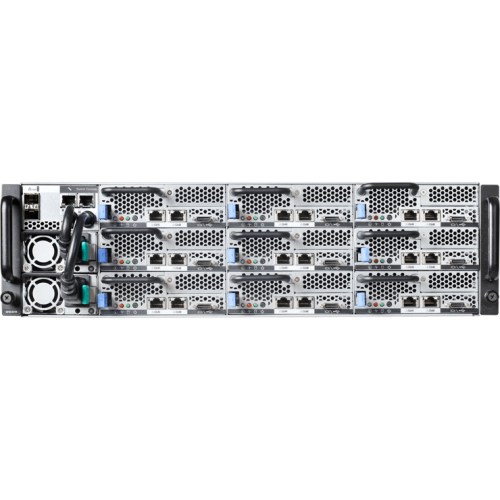 The S910-X31E is optimized for dedicated hosting, cloud computing, big data workloads, content delivery network, and front-end servers for hosting web pages, etc.